When we set out on our cross-country journey at the beginning of September, we knew we wanted to antique our way across America, but we weren’t exactly sure where we would go. We still have a few more days on the road, but I feel fairly certain that I won’t be summarizing those last days until we get back to New Jersey. Tonight, we’re in Dolly Parton’s hometown, Sevierville, TN. 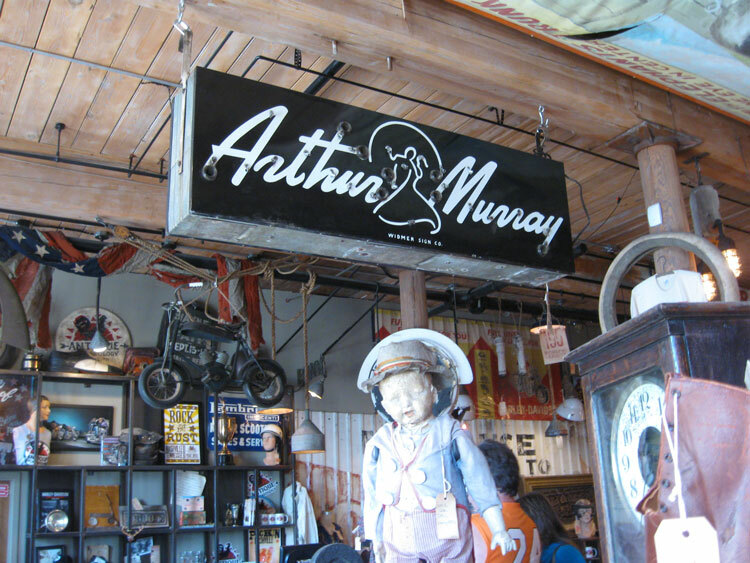 Earlier in the day, we passed by Nashville on Interstate 40, so we had to make a little detour and visit Mike Wolfe’s newest shop, Antique Archeology-Nashville. It seems sort of fitting that we bookended our trip with visits to the two American Pickers stores. I really liked the Nashville store. 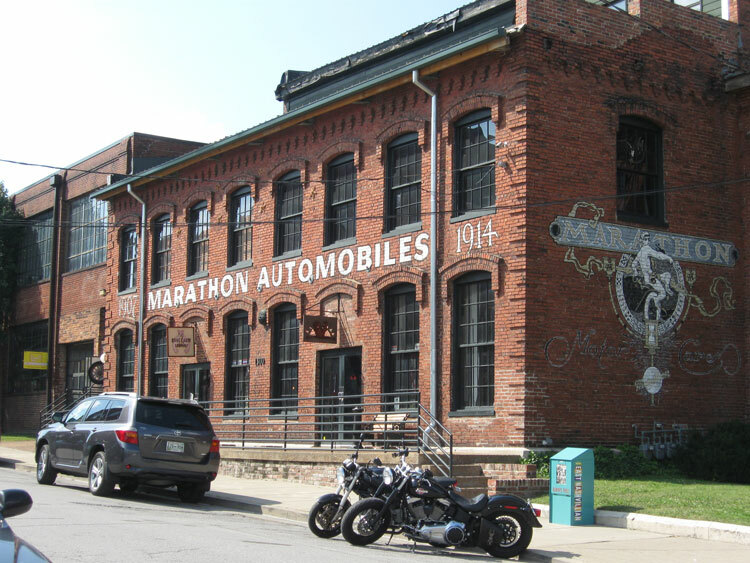 First of all, it’s in a great old brick factory building, the Marathon Motor Works. We were heading into Nashville on I-40 from west to east, and our GPS took us through the city, past Fisk University, for quite a few blocks. Getting back on I-40 was very easy. The whole Marathon Motors complex looks like something being re-purposed into a trendy shopping area. Next to the Pickers’ store, for instance, is a candy store. Unlike the Iowa store, which had an intimate feel to it, the Nashville store is quite a bit larger. I’d say it has close to three times the square footage. If nothing else, it has very high ceilings. Whoever arranged the stock did a great job. It was almost like walking around through a really cool museum of wacky retro stuff. (And, since the prices were astronomically high, just like in the Iowa store, we knew we couldn’t afford anything, so it WAS like visiting a museum.) This is the view when you first walk into the store. 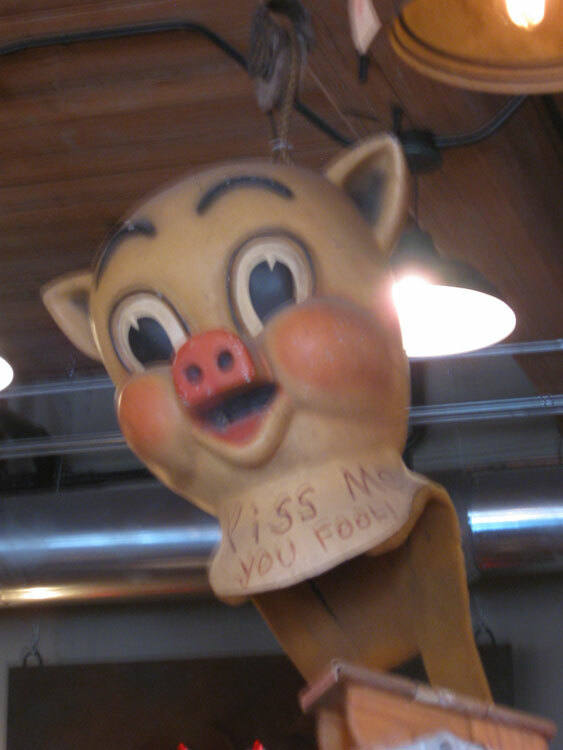 One of the recognizable things was the huge Piggly Wiggly head. There was a fabulous canvas circus sideshow sign up on the ceiling. 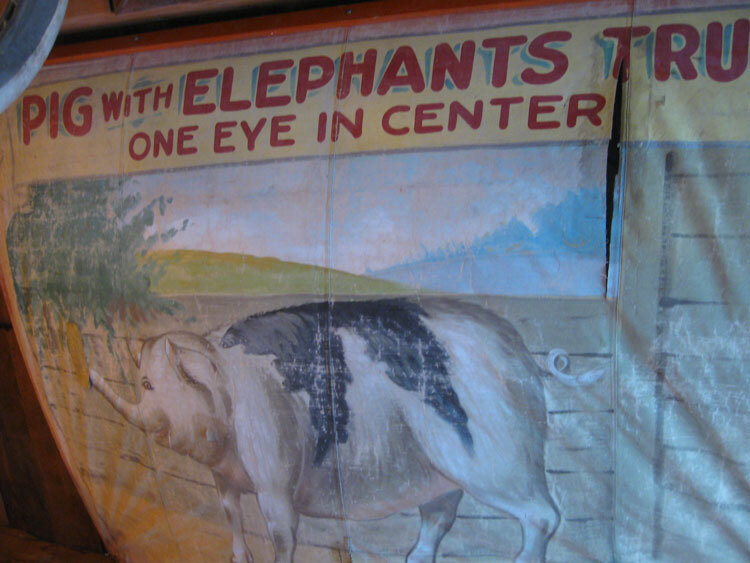 Who wouldn’t pay money to see a pig with an elephant’s trunk? 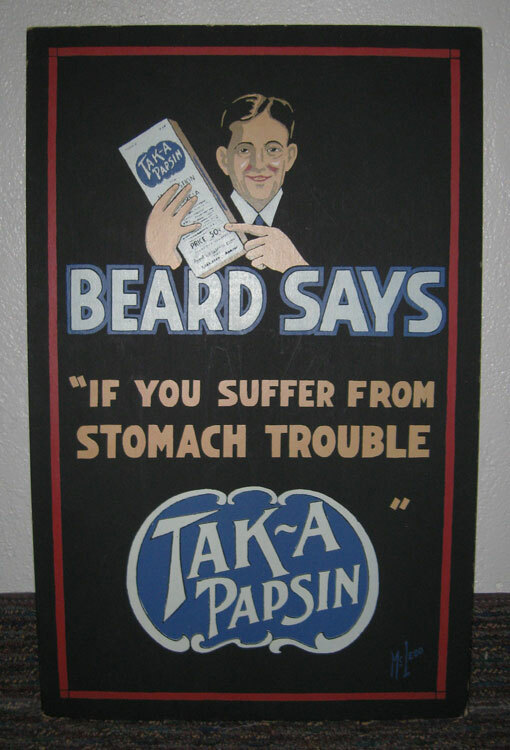 There were great advertising pieces, funky one-of-a-kind things like the giant bib overalls or the 1940’s slacks with the first names of Big Band music greats (Benny, Bing, Frankie, Dina, etc. ), rusty bicycles and motor parts, and manikin heads sporting hats, helmets, and goggles. As we did in the Iowa store, we searched for something small and affordable. It was tough. They had a lot of 1990’s music trade magazines that were supposedly picked from Mickey Gilley. Priced at $5, they fit the bill. We also found a wire basket with a handful of paper items in it for $5 each. There was an ad for the Chile pavilion at the 1901 Pan American Exposition in Buffalo. (That’s the same exposition where William McKinley was shot by an assassin.) Five dollars didn’t seem too outrageous at all. Those were our “old” finds. As with the Iowa store, there were plenty of t-shirts, hats, magnets, shot glasses, metal signs, paper fans, playing cards, etc., etc. for sale. (I particularly liked the baby onesie that said, “Future Picker” on it.) I’m sure sales of those items are the main source of revenue for the store. There definitely were a lot of shoppers – or at least “lookers” – at this shop. There were two counters for sales, one to the front left side of the store and one in the back, staffed by pleasant young people who looked like they could be college students. Based on what the young man who waited on me said, it sounds like Mike shows up about once a month at the store. 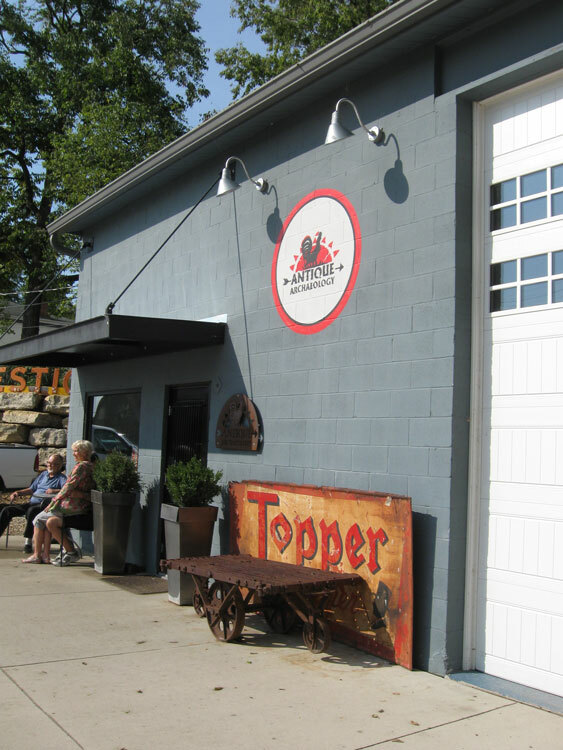 We’re glad we’ve seen both of the American Pickers’ shops. 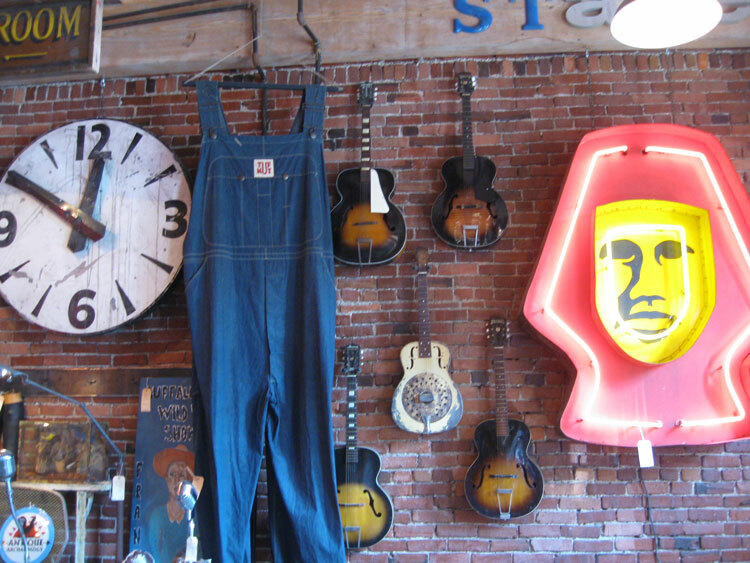 If you’re a fan of the show and ever get to LeClaire, Iowa or Nashville, Tennessee, do stop in. Then, when you watch the shows, you’ll have a reference point when they show interior/exterior shots. Believe me, things never look the same in person as what you imagined. 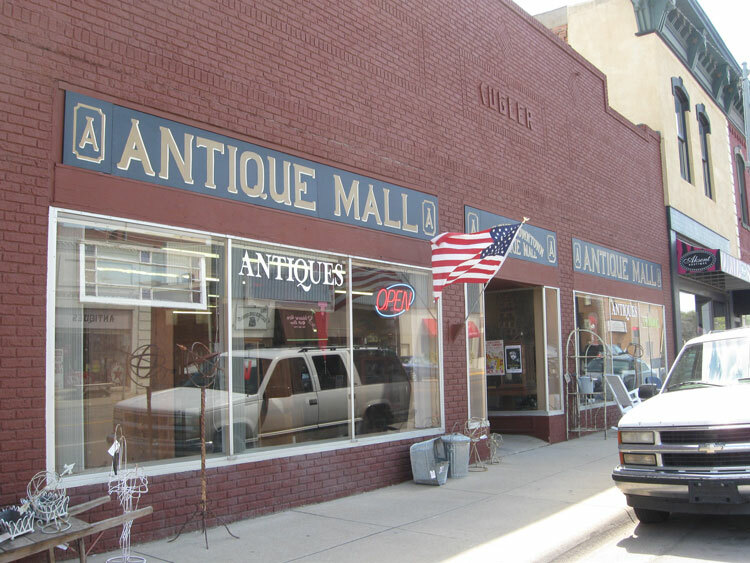 As promised earlier, we are leap-frogging over several successful forays into antique shops earlier in the trip to report on another shop connected to a popular TV show. We had no trouble locating the shop, which is in a strip mall at 810 N. Tustin in Orange. 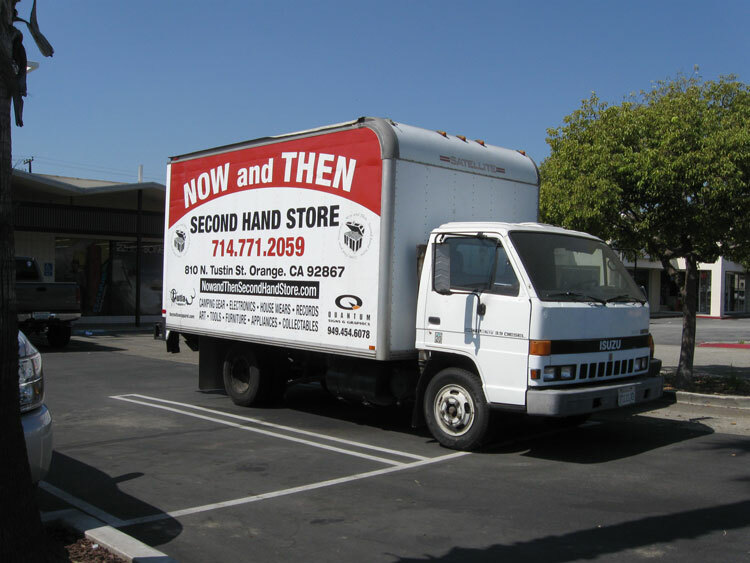 The big truck parked out front is a dead give-away, too. Inside, the shop was very neat. There were shelves of knickknacks, housewares, electronic things, holiday decorations, toys, etc. 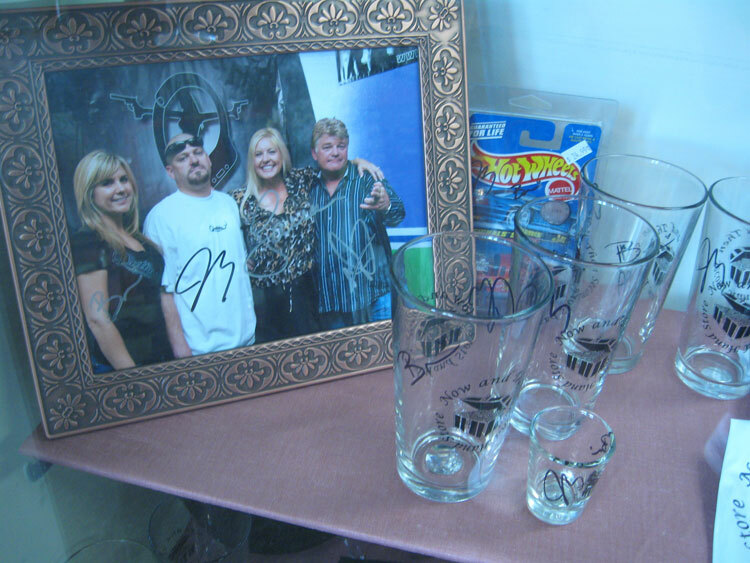 Glass cases held jewelry and Jarrod/Brandi merchandise such as autographed photos, playing cards, shot glasses, etc. We didn’t pay much attention to the furniture, but there was an entire room of it. 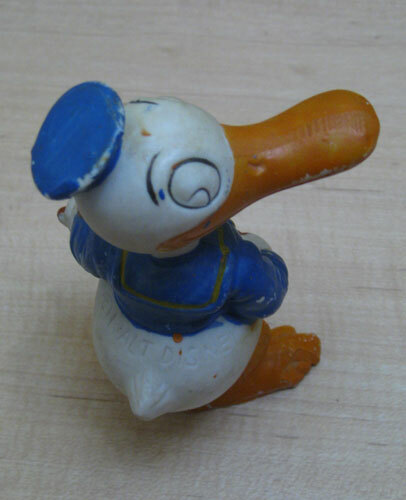 A quick check on eBay turns up many Rittgers sculptures. 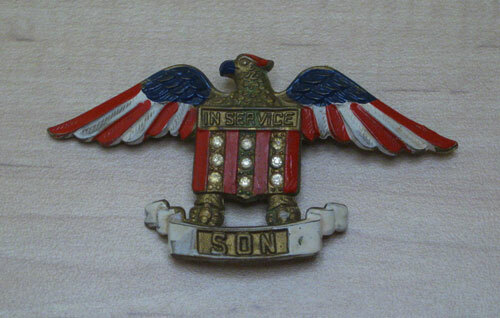 Most date to the 1940’s (This one is dated 1941 right on his foot.) and have quirky, cartoonish faces. Many, but not all, have a sports theme. 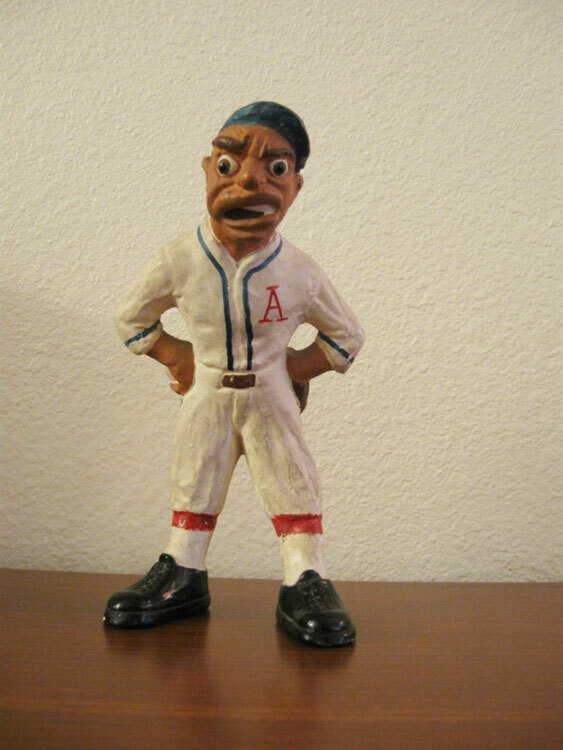 The baseball and boxing figures are quite collectible. 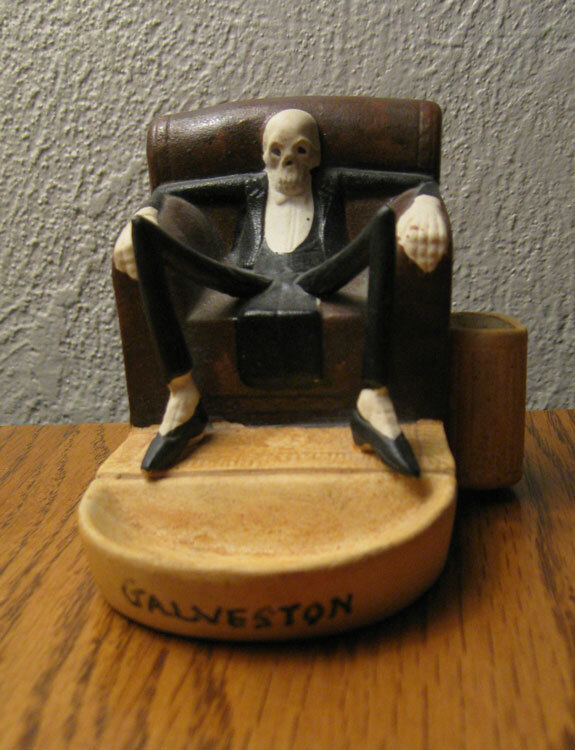 Examples of our baseball figure brought anywhere from about $20 to $50. We didn’t steal him from Brandi and Jarrod, to be sure, but we felt that we got a good deal. 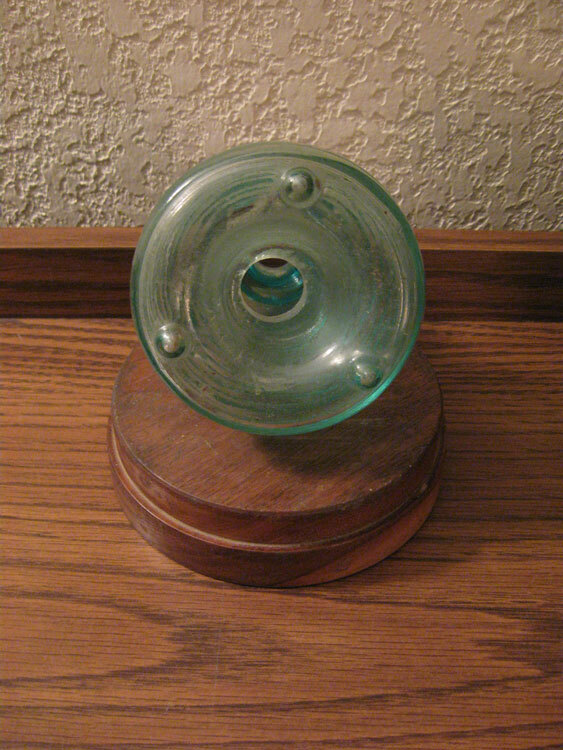 Plus, he’s something we would have bought at any antique shop, show, or flea market at that price. It was fun to visit a second shop connected with a well-known TV show on this trip. 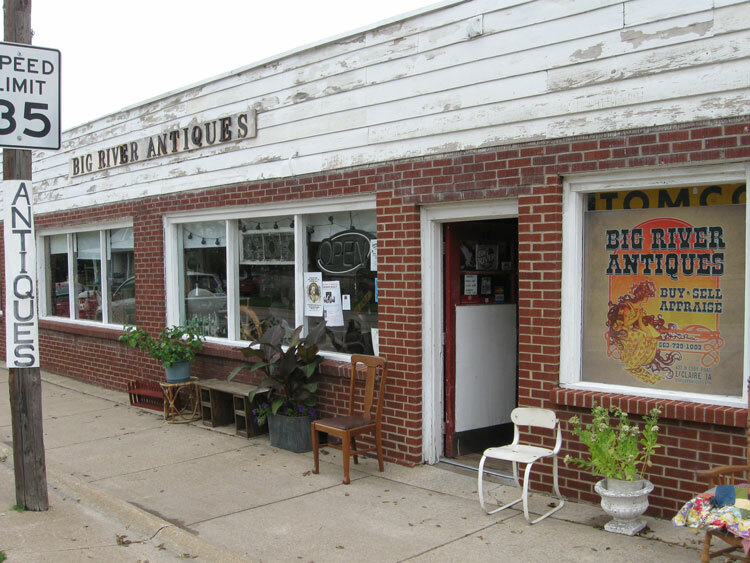 Unlike Antique Archeology in LeClaire, the Now and Then Second Hand Shop does not bill itself as an antique shop and, therefore, cannot ask the moon and the stars for its merchandise. 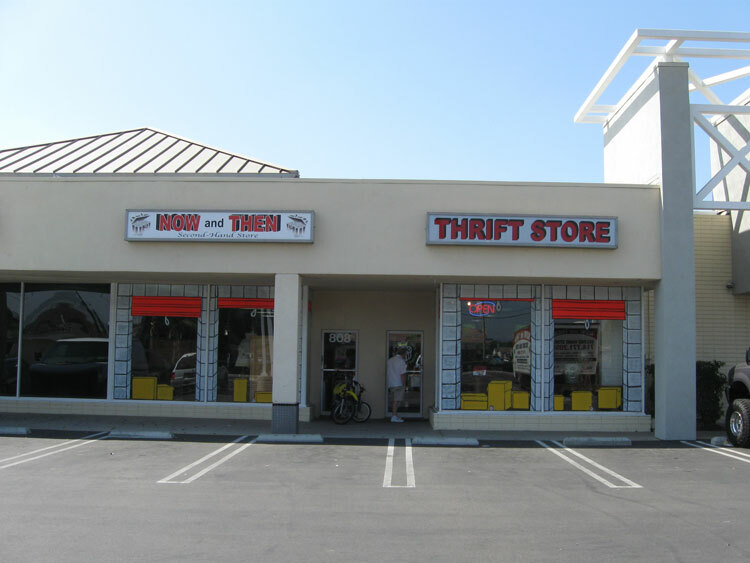 Compared to thrift stores back home, we thought the prices were a bit high, but we didn’t visit any other California thrift stores for comparison. Still and all, our visit to the Now and Then Second Hand Store yielded something we liked, and that’s what it’s all about. We entered LeClaire, Iowa, which is just north of Interstate 80 and on the banks of the Mississippi River, at about 9:45 a.m. 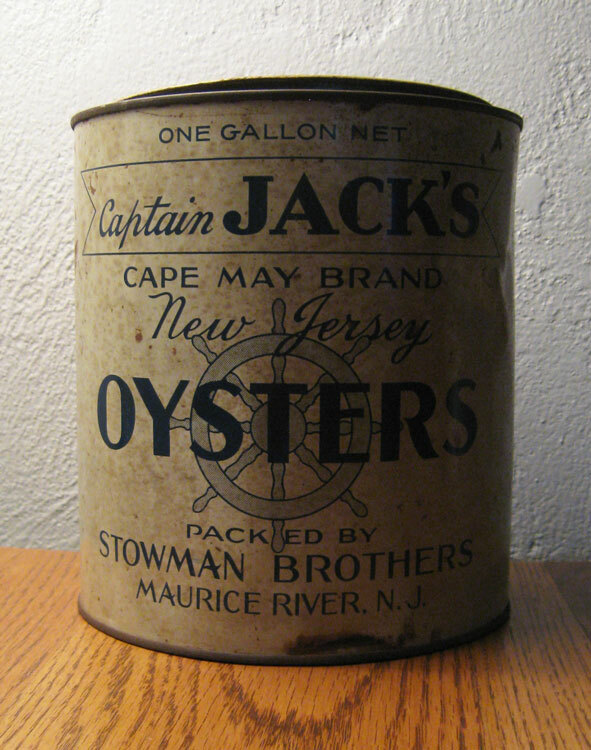 I was taking note of the price of gas at a BP station when Jim shouted, “There they are!” I thought he meant that he had seen Mike and Frank, the American Pickers, out and about in their van. Actually, he had spotted Antique Archeology, which sits uphill just behind the BP station. There was the familiar 1950 Nash out front. And there was the shop itself. Ten minutes before opening, the small parking area was already filling up with fans of the show like us. Most were out-of-staters, and most were at least middle-aged. Suddenly, the “closed” sign was turned around and said, “open.” Then the garage door opened and a young female employee (No, not Danielle. Apparently she only works after hours.) wheeled out the familiar little electric car. I was busy snapping pictures, but Jim was already inside the shop. It’s divided into two sections. The original office portion of the old garage is where they sell all sorts of souvenirs: caps and t-shirts, shot glasses, tote bags, banks, magnets, etc. Were they reasonably priced? No. A basic postcard of Mike cost $3. T-shirts averaged about $22. Did we leave with some items? Of course. The work area of the garage is where the antiques are sold. 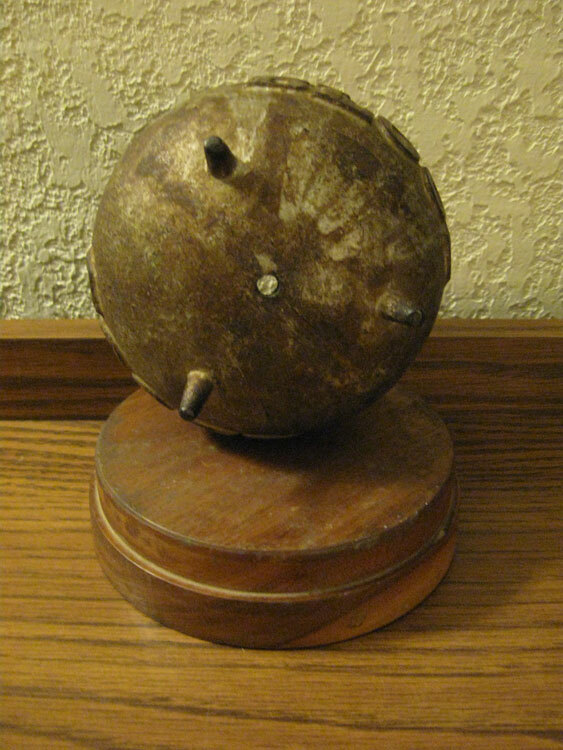 Did we recognize items that were picked on the show? Yes, we did. Were they expensive? Yes, they were. Do not expect bargains at Antique Archeology. Remember the huge pile of moon landing souvenir felt pennants that were picked a couple of seasons ago? You could buy one for $40. Remember the toy metal police cars that were picked earlier this season? Several were out for sale at $100 each. 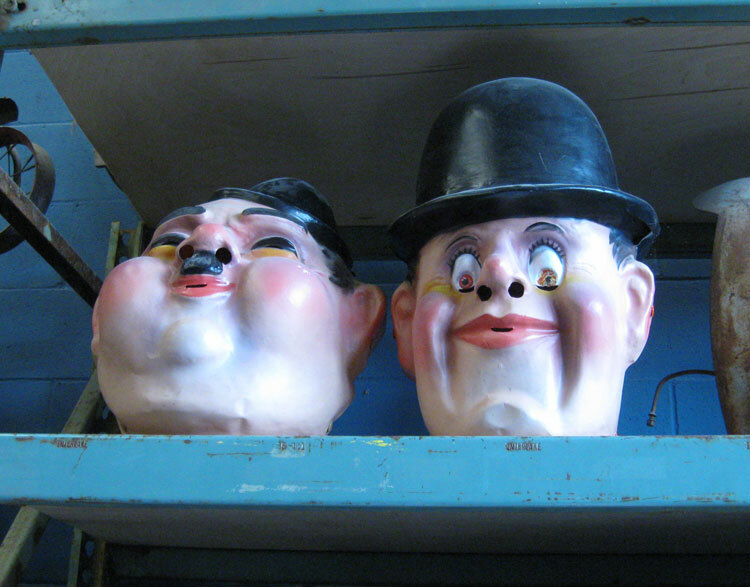 Some items in this area were very familiar but were marked “not for sale.” High up on a shelf were those goofy Laurel and Hardy heads that Mike and Frank wore a season or two ago, but no one was taking them home. We did, however, find one little thing to purchase. 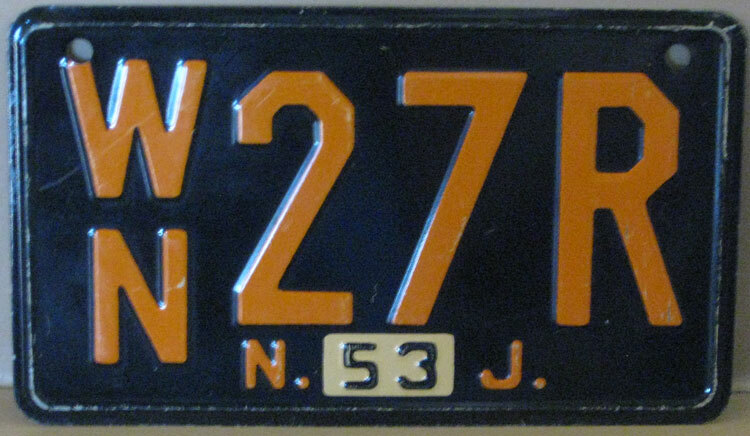 In a basket were a few dozen small metal license plates that had been cereal premiums in the 1950’s. They were priced at $10 each. 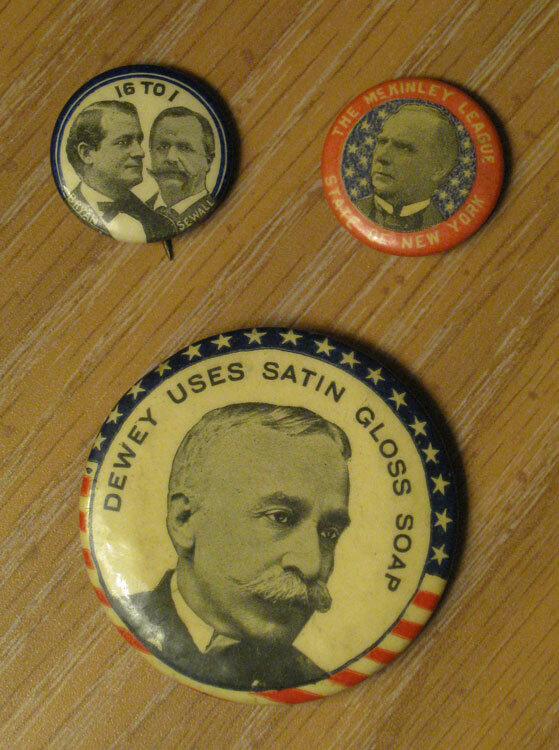 We knew this was a little more than they were worth, but they were in good condition. And they were small, which is a prerequisite for almost everything we purchase on this trip. We had hoped to find an Iowa plate, but, alas, had to settle for our home state of New Jersey. While we didn’t score any bargains at Antique Archeology, we didn’t expect to. We scored an experience. 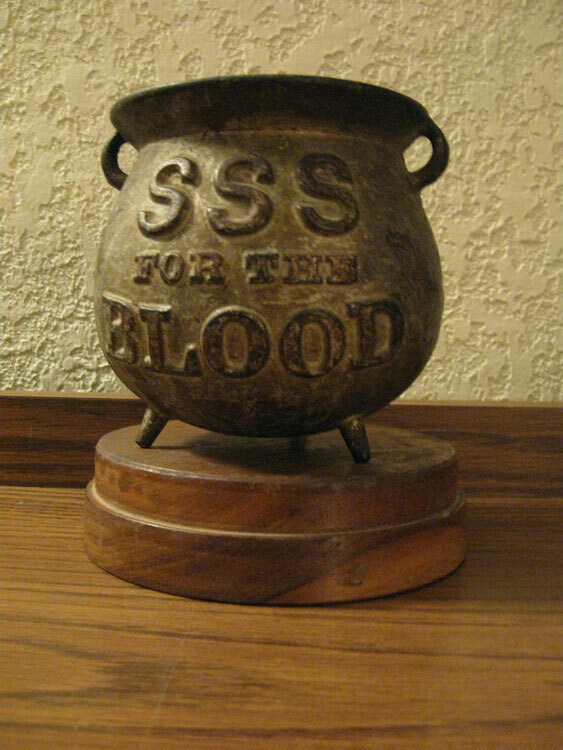 American Pickers has become a cultural icon; even people who never go out hunting for antiques love this show. We appreciate what Mike and Frank have done for antique collecting. More and more people, especially younger people, are discovering the fun of “the hunt” thanks to them. Frankly, I don’t blame them for cashing in on their fame while they can. If you’re ever in LeClaire, Iowa, be sure to check out their shop. That said, make sure you don’t leave town without checking out some of the other shops, too. 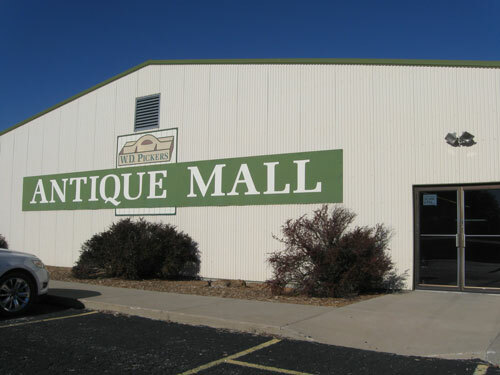 We would especially recommend the Big River Antique Mall at 423 N. Cody Road on the other end of town. 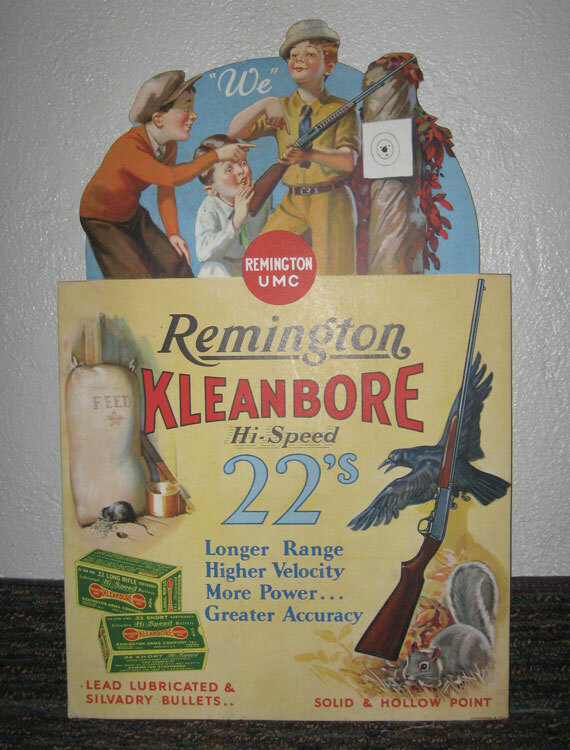 This antique mall contained some really fabulous stuff, particularly when it came to antique advertising items. They were pricey, to be sure, but the quality was outstanding. There were plenty of moderately-priced items as well. 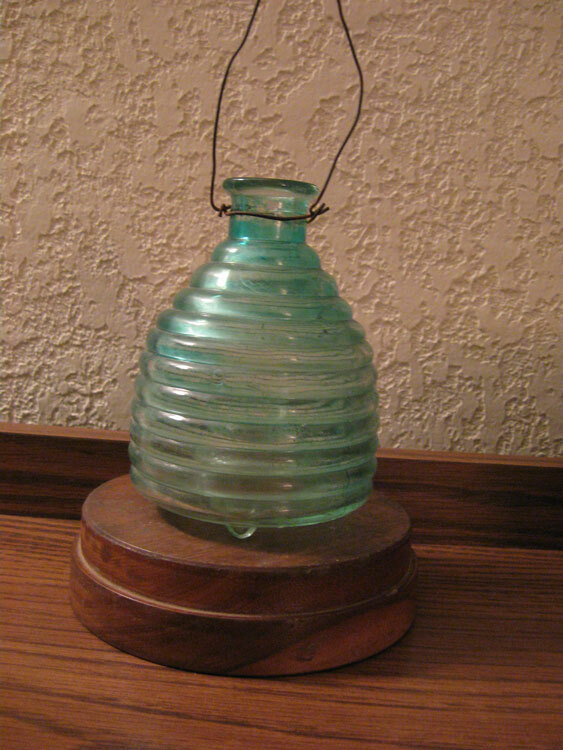 We left the shop with two items that we liked a lot and that we felt were reasonable in cost. 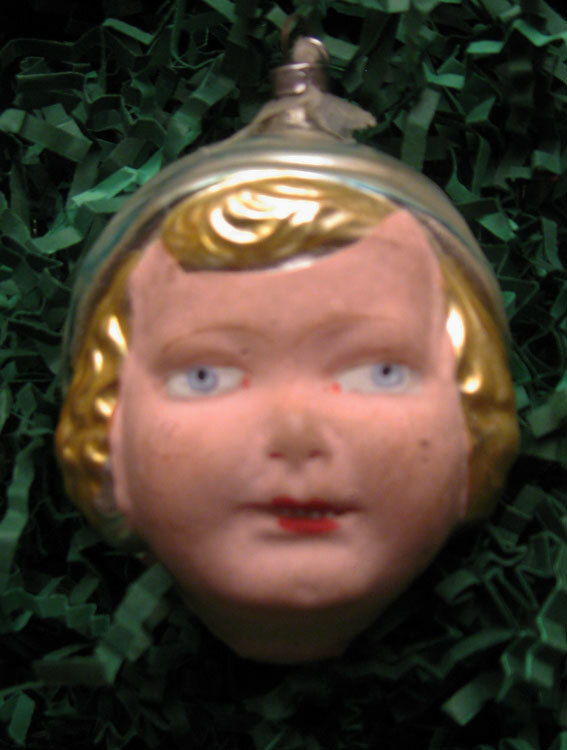 The first was an adorable bobble-head clown. 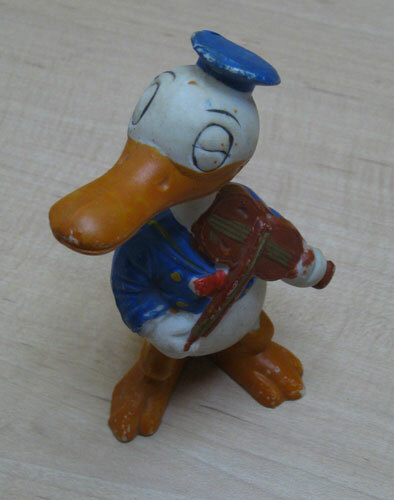 He’s in excellent condition and was marked “Japan” on the bottom, so he probably dates to the 1950’s. And he only cost $18. 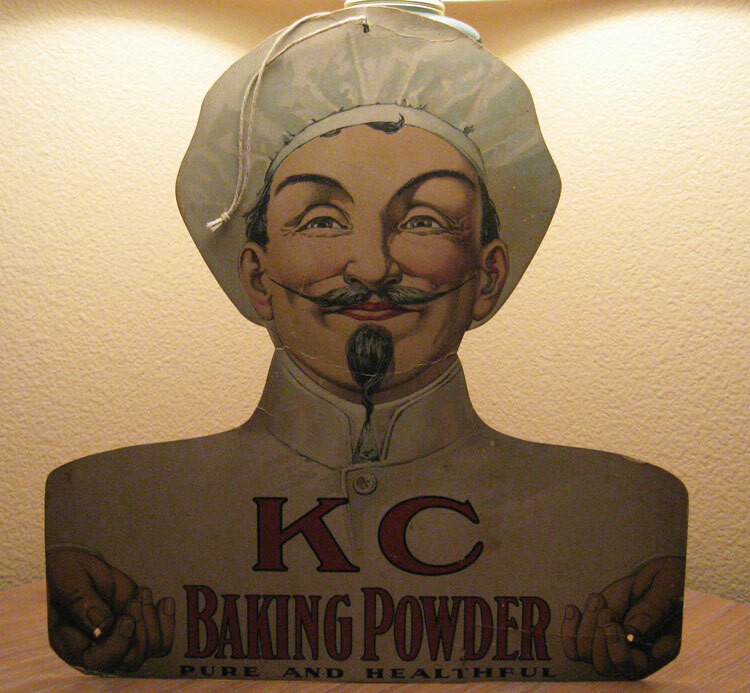 The other item we purchased was a cardboard sign that advertised the Marx Brothers movie, Animal Crackers, which would date it to the 1930’s. It would have been used on a bus or trolley. Most of these signs would have been tossed out shortly after use. This one, while not in perfect condition, seemed like an excellent buy at $16, and it’s small enough that we might actually be able to find a place to display it when we get home. We left home yesterday and headed west through Pennsylvania, Ohio, and Indiana; thirteen hours and 681 miles later, we arrived in Brownsburg, Indiana. What a frustration to watch billboards advertising antique malls flash by us on I-70! The huge Heart of Ohio Antique Mall was visible from the road, but we couldn’t stop. We promised ourselves that we would return to Ohio specifically to do some antiquing in a year of two. This morning we drove to Springfield, Illinois, arriving shortly before noon. We spent a couple of hours in the new Abraham Lincoln Library and Museum. After a quick lunch, we got on Route 97 and drove for at least two hours through farmland and small towns, arriving in Galesburg, Illinois at 4:30. That meant we had exactly a half hour to tear through the impressive three-story Galesburg Antiques Mall Co. at 349 E. Main Street. As you can imagine, we never made it past the first floor. We did, however, find several things to purchase. Unfortunately, I can’t report on the things that will become Christmas or birthday presents for Amy. 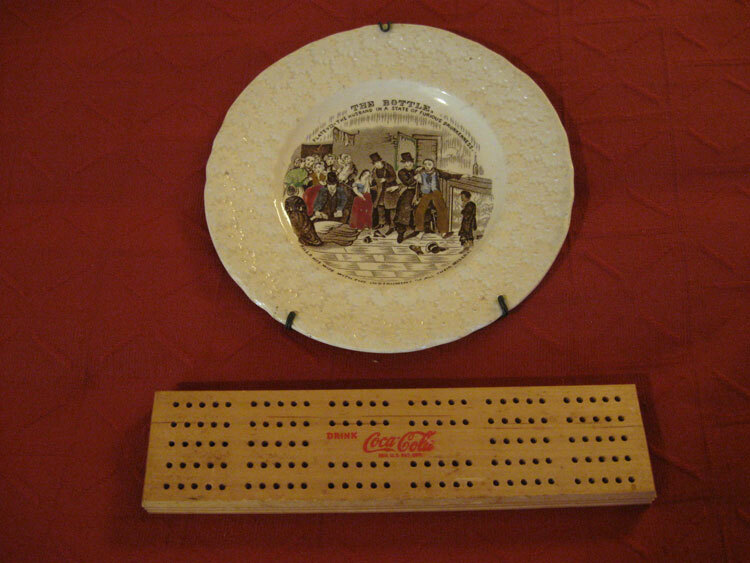 I can say, however, that I was happy with several 1940’s Metronome magazines for $2 each, and Jim picked out a vintage Coca-Cola cribbage board (pictured below) for $8. 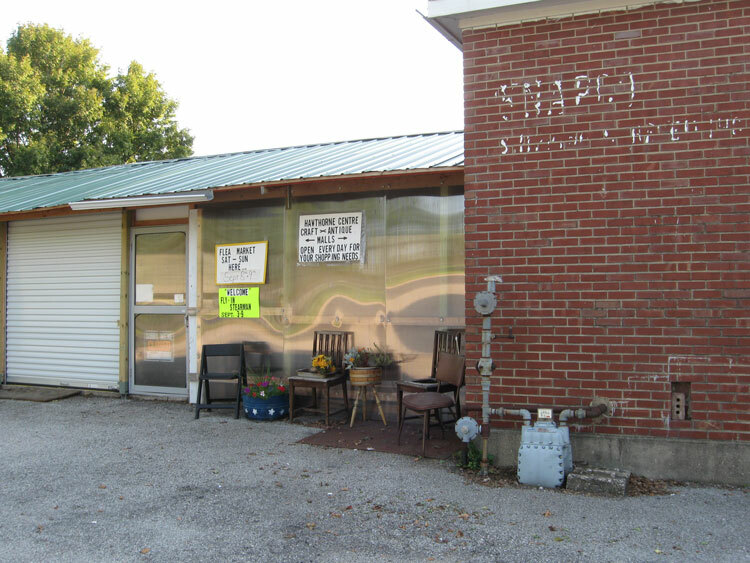 At 5 pm, the store closed and we were back in the car scanning the papers we picked up to see if any of the other local antique shops stayed open later. Eureka! There was one that didn’t close until 6 pm. 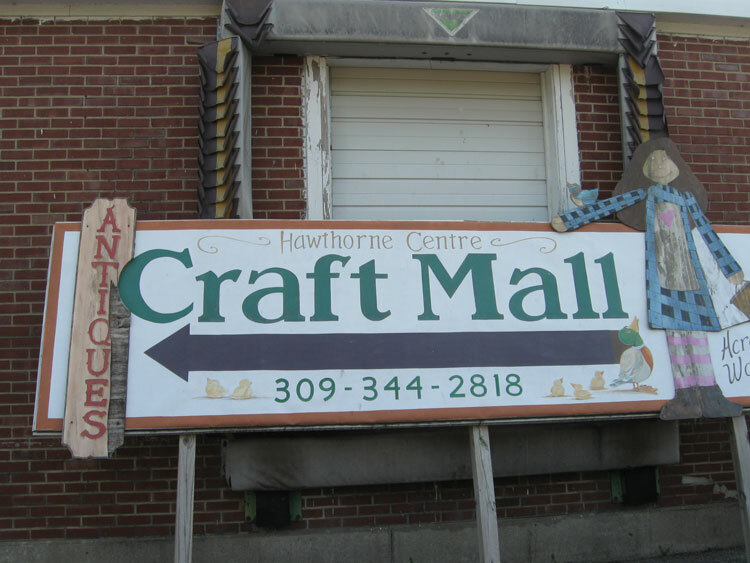 Over to the Hawthorne Centre Antique Mall at 2188 Veterans Drive we went. It didn’t look very promising from the outside, but inside, the shopkeeper was friendly and there were a number of open booths with a variety of antiques and collectibles in them. 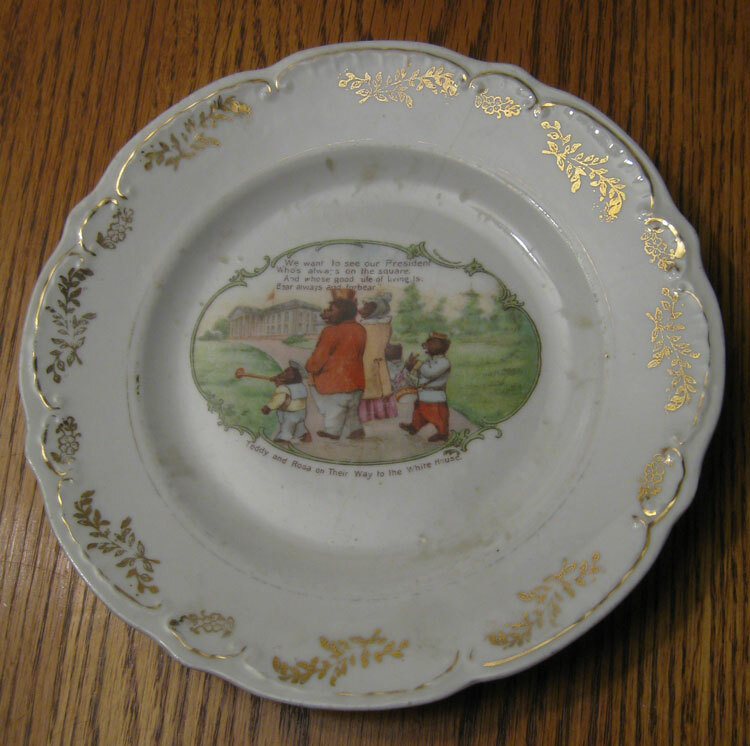 We decided to purchase a nineteenth century temperance plate (pictured). It was apparently part of a series because the dealer had about ten of these plates, a couple in damaged condition for $18 each and several in good condition for $75 each. The one we purchased was in between. 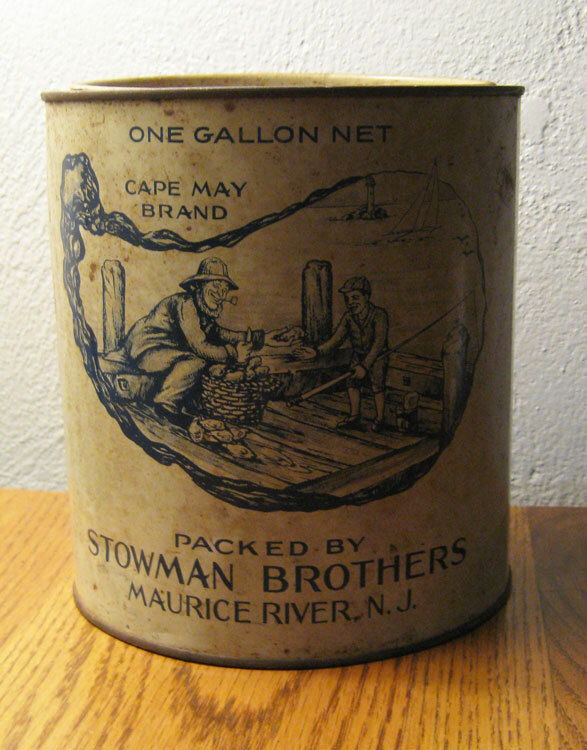 It has an old staple repair on the reverse, but displays well from the front and was priced at $35. 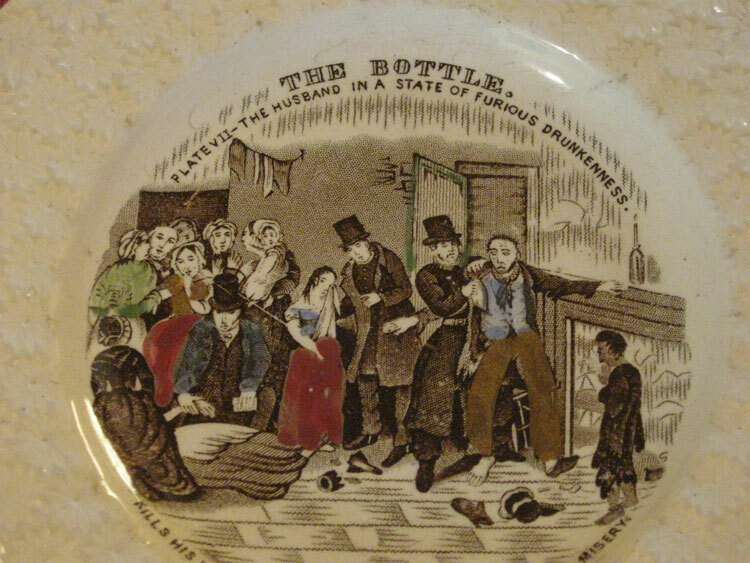 The inscription on it reads: The Bottle – Plate VII – The husband in a state of furious drunkenness kills his wife with the instrument of all their misery. The disheveled husband, with one shoe missing, is being restrained by a policeman while a doctor, perhaps, attends to his dead wife whose skirt and one limp hand show on the left of the plate. A broken bottle lies between them. This English transfer plate has a few spots of hand-painted color. The only mark on the back is a number 8. Considering that we only had an hour and a half to work with, we were quite happy with both stops in Galesburg, Illinois. There are other shops in the town as well. 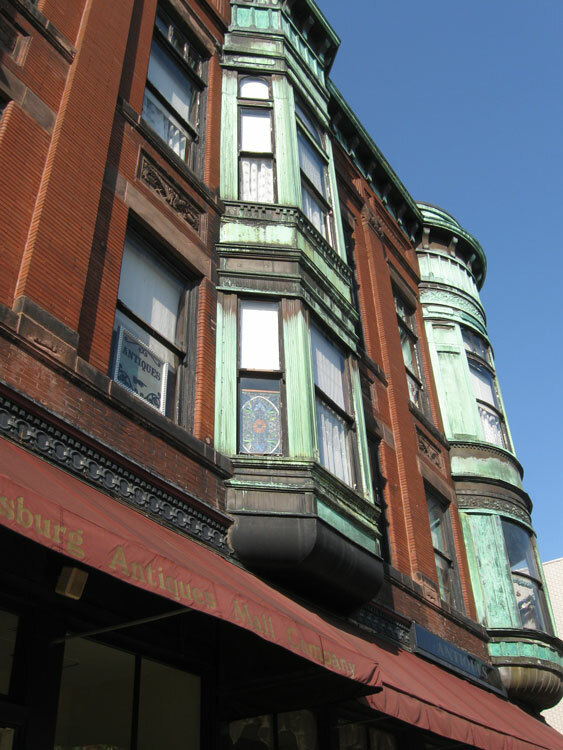 We wish we had more time to visit Carl Sandberg’s birthplace and tour the Orpheum Theater. Such are the frustrations of working with a tight timeline. Tomorrow, we are heading into Iowa. 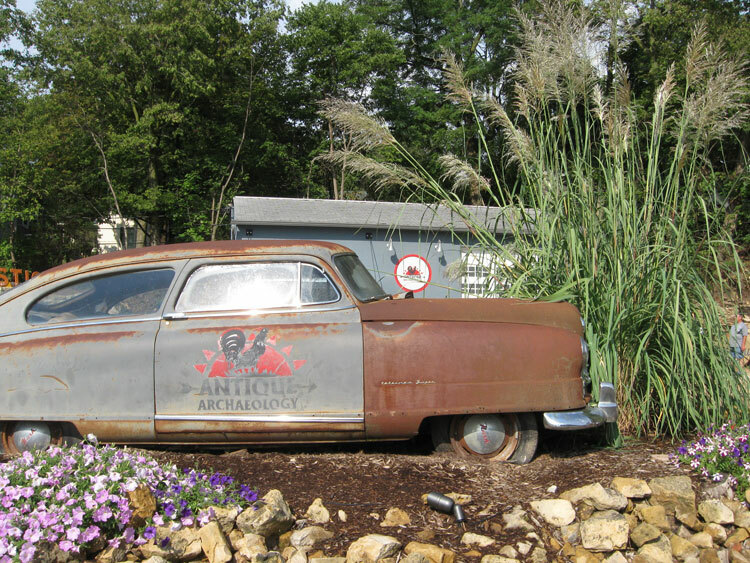 Yes, we do plan to visit Antique Archeology, home of the “American Pickers.” Stay tuned. I finally caught up with your blog or your travels and soooo want to be with you! 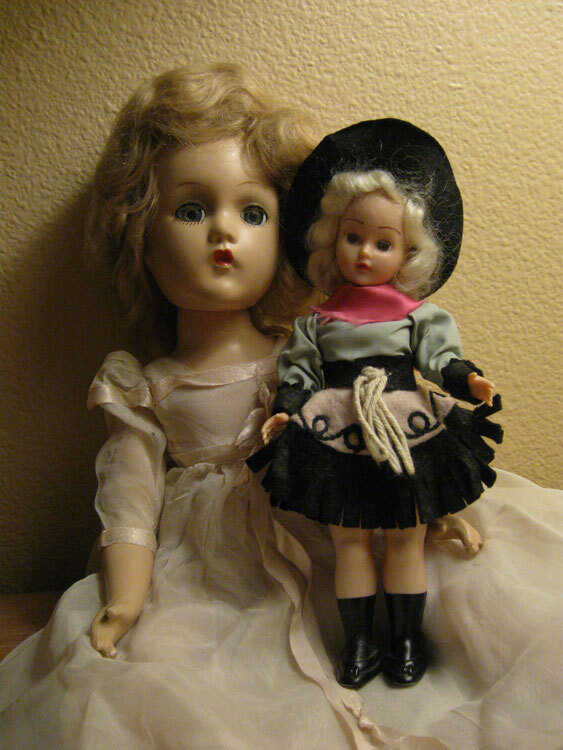 Looks like you have found fabulous shops. . .makes me want to go antiquing this afternoon! Keep them coming! 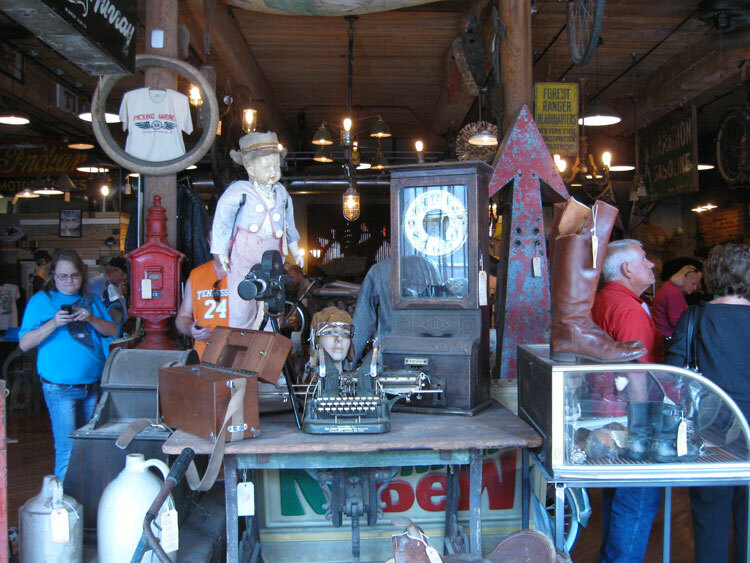 I am wondering in all your future travels if you could be on the lookout for Leadville items. ?